Why is it some days you wake up on the wrong side of the bed? Super grumpy this morning and I don’t even know why. Tired, possibly so – with zero patience.Â House falling apart maybeÂ – the dishwasher, sink and my computer all seem to be having some sort of problem together and I am ready to chuck them all out and we’ve only just hit 6am. 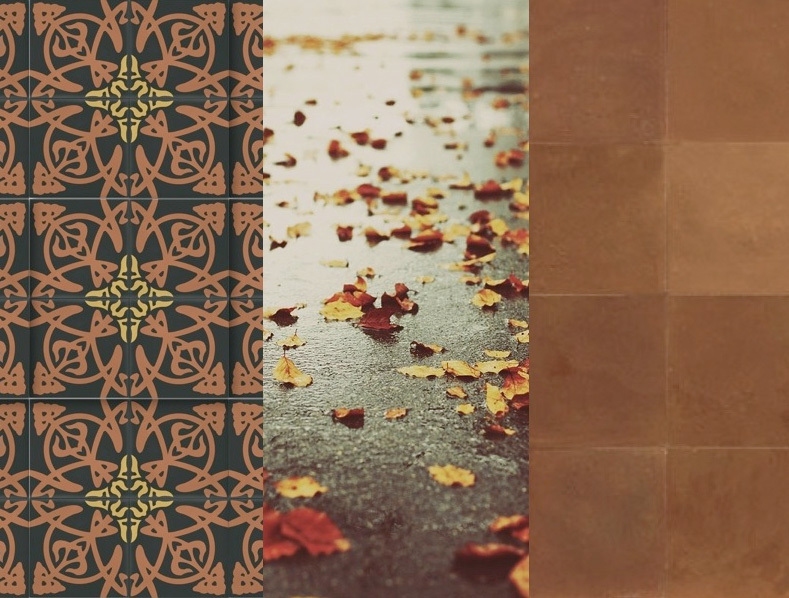 Hey ho, lets talk tiles. I don’t use them as much as I should, which is crazy really. 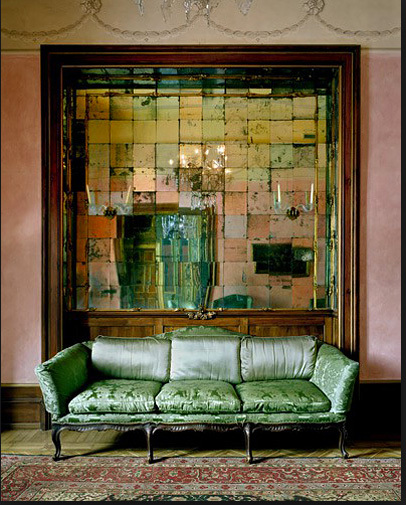 In Paris not so long again I come across the most beautiful antiqued mirrored ones – costing the earth as they are all hand silvered and patinated but I dream about them on whole wall in the bathroom.They feel and look so hand crafted. Beautiful no? I’m also rather drawn to Moroccan zellige tiles, you guys heard of them? They are beautifully translucent, super irregular but rather breathtaking.Â Quite fancy these in the bathroom that I am forever thinking of changing but don’t seem to be getting round too. Onto patterned tiles, pattern as I say all the time (sure you are sick and tired of hearing this) adds instant intrigue – so something patterned in a loo in a hallway looks rather lovely. Particularly drawn to these beauties below. I found all these tiles from, Cle, if you fancy taking a butchers. I’m back later this morning with the new journal. I know I said it was going live on facebook yesterday but I forgot the team had to add all the links, drove them crazy with that little announcement! Its looking beautiful am very proud of it indeed and cannot wait to show you guys.Â Oh and I got my hair coloured to get rid of some of the blond, its ridiculously blond my hair always has been and I felt I needed a more sophisticate, groomed look rather than bed hair , curly blond that inflicts me. Anyways got it coloured, and straightened and it looks like hell. The straightened thing is sorted a shower takes care of that , but the darkness – yikes. Maybe that’s why I’m grumpy – guess it will wash outÂ in about 6 weeks but next time I fancy a new look I’m buying a lipstick and that is it!